What in the world does “honing” mean? At Bakers Travertine Power Clean, we always want to make sure you are armed with all the correct information on what services & processes you need for your natural stone flooring. Many natural stone cleaning companies reference “Honing” as one of their services or processes to bring your stone back to life. So, what is Honing anyway? for sharpening knives, blades, etc. Honing has as many different meanings as there are stone finishers honing stone. The finisher may refer to it as a procedure, the tile retailer may refer to it as a look or shine of the stone. The term has become too diluted and over-used to provide and accurate description. Even travertine that has already been honed at the factory does not mean it looks good. Factory honed tiles tend to be uneven, patchy, shiny in one spot, dull in another. This is why we try to avoid using the term to describe the appearance of our finished stone or our finishing process. 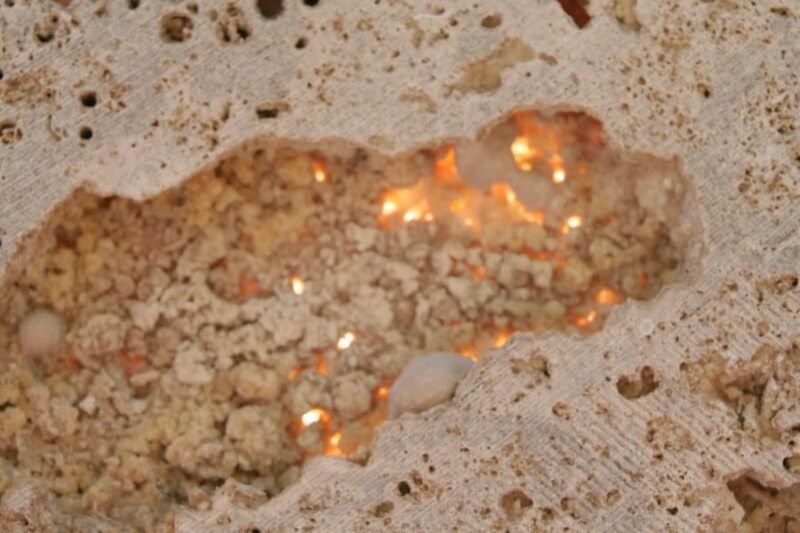 DYK: Honing processes such as diamond pads, sanding screens and powders will actually open up the stone, making cleaning tougher and reducing the ability of the penetrating sealer to keep water from eroding the stone over the course of time. Yikes! Our process is better described as a “Custom Abrasive Process”, and better than the usual honing service that most finishers provide. We know the right abrasives for each project as travertine comes in different densities and composition. There is no “One Size Fits All” approach to travertine finishing. 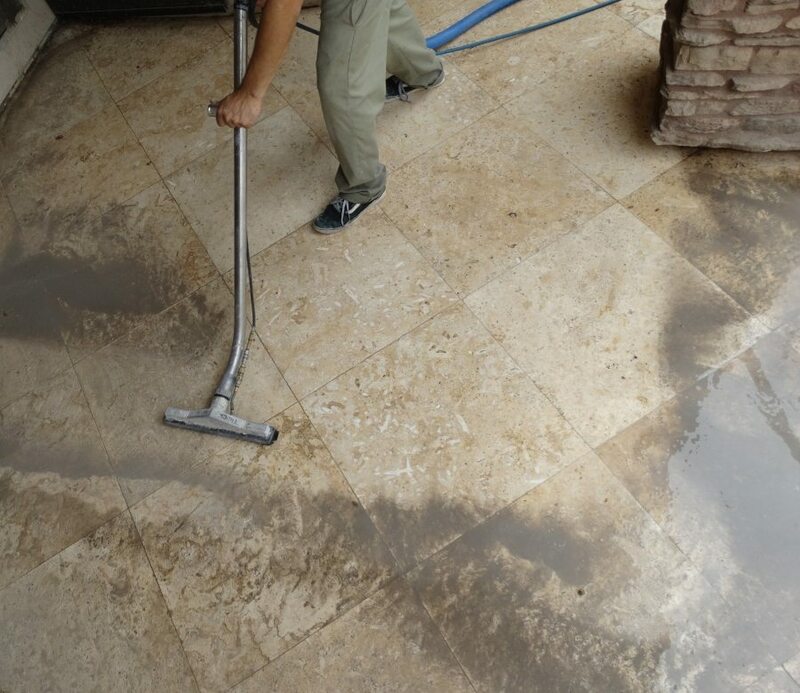 Our proven custom Abrasive Process beats the standard travertine honing process provided by other stone-floor-care services: The Power Clean System has been specifically designed for Travertine. We don’t rely on just the standard materials and methods that our competitors use. We’ve tested standard abrasives, powders, and tools that are readily available for Marble. We found that just because it says on the label it works for Marble doesn’t mean it will produce a good result for travertine. Our focus has always been to develop the safest system for travertine specific characteristics. This term is widely used in the stone finishing industry, with no clear definition of what it actually means and what service you will be provided. Leaving the you, as the customer, confused and trusting in contractors that may not have your best interest. When you are reaching out for quotes with local company make sure you are informed and ask questions! You’re the customer! To learn more about what is best for your home check out our Travertine Honing Definition Page or contact us directly at any time! Keep Your Floors Safe & Stay Informed! A substance used to sand, scour, scrub, smooth or polish by removal of the original material. 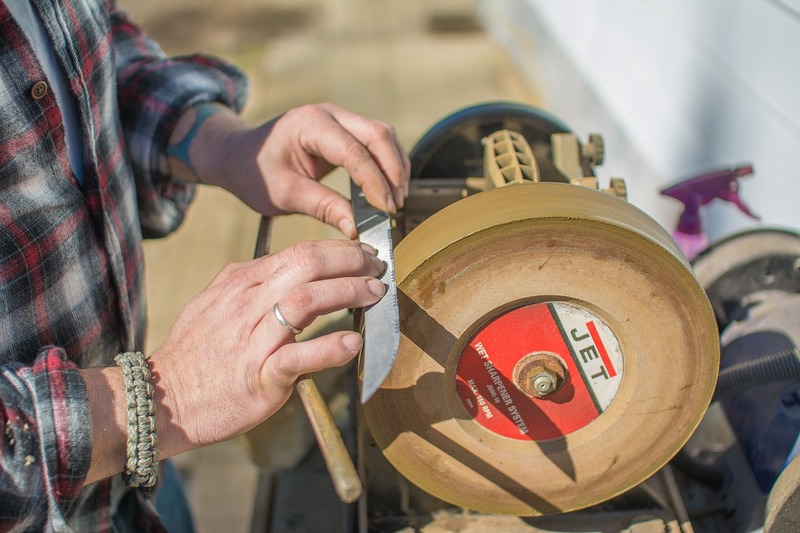 The amount of material removed is determined by the size of the abrasive particles used (ie: grit) Sandpaper, scouring powders and steel wool are examples of abrasives.